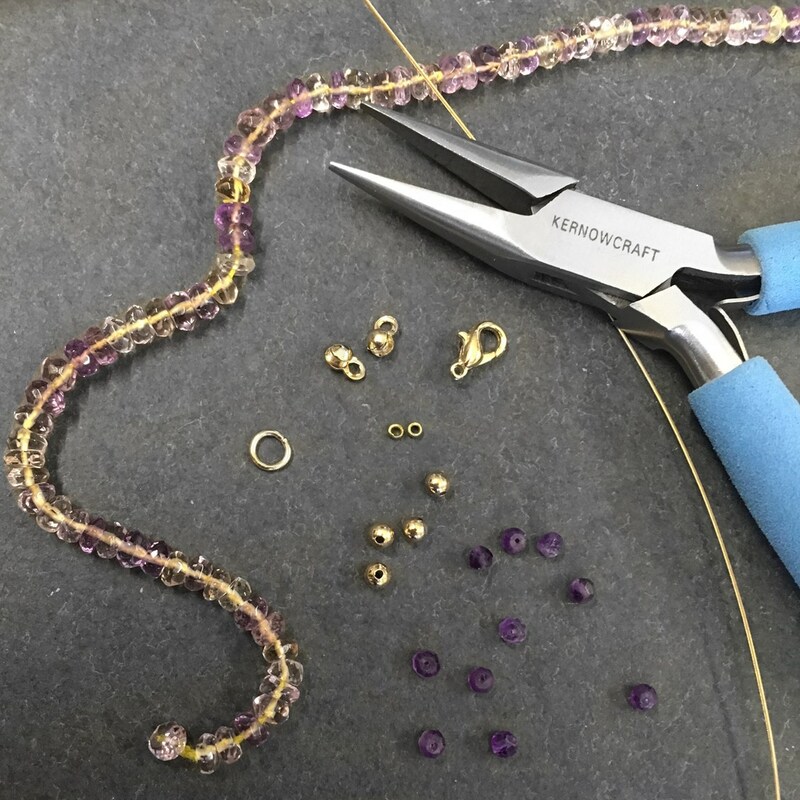 In celebration of National Beading Week we've been having fun coming up with some pretty beaded projects for you to try at home. We love this simple and elegant ametrine bracelet with amethyst accent beads, the tonal shades really compliment each other. 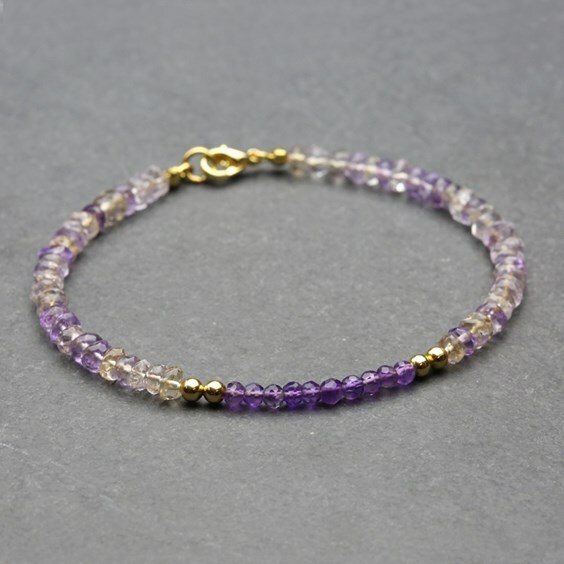 Ametrine is where citrine and amethyst combine in the same gemstone, as part of the same gemstone family they're natural complimentary colours. Below we show you how to piece this easy project together and get a beautiful professional looking result. To start with get organised, getting out what you need at the start saves you having to fish around for bits half way through making. To begin your bracelet take your flexrite wire and add a crimp to the end, using your snipe nose pliers to squeeze it into place. 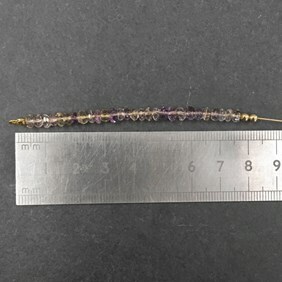 You can do this right at the end of the wire as you will be placing a knot cover over the crimp. 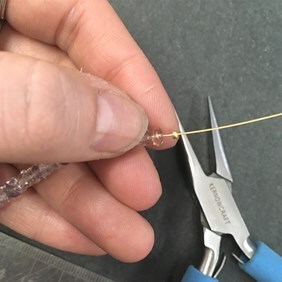 Once the crimp is in place put the open knot cover over the crimp and use your snipe nose pliers to close it around the crimp. 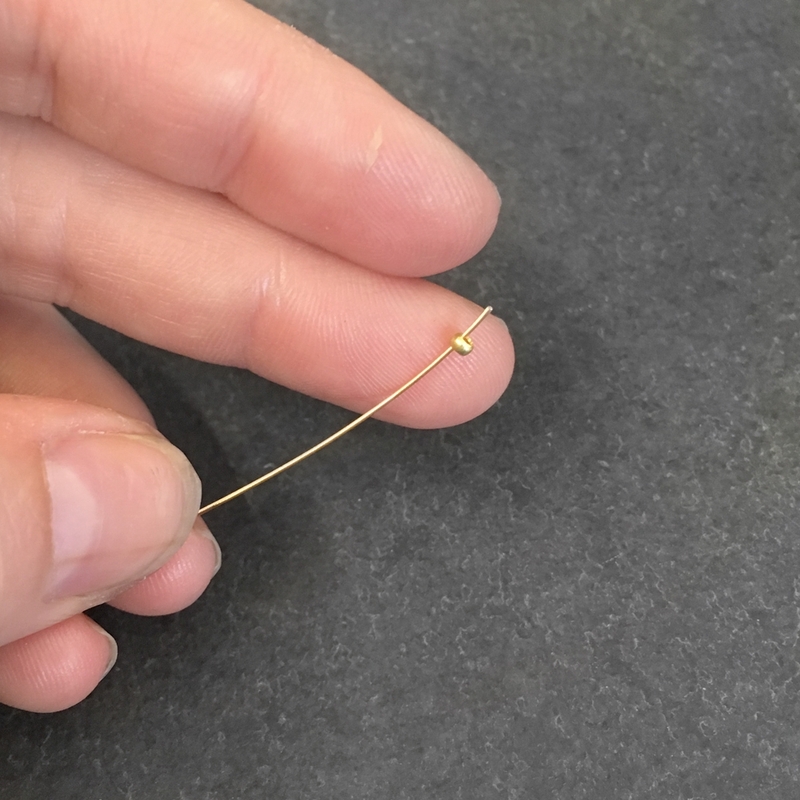 Make sure it's closed properly by lightly pulling on the wire to make sure the crimp does not slip through. 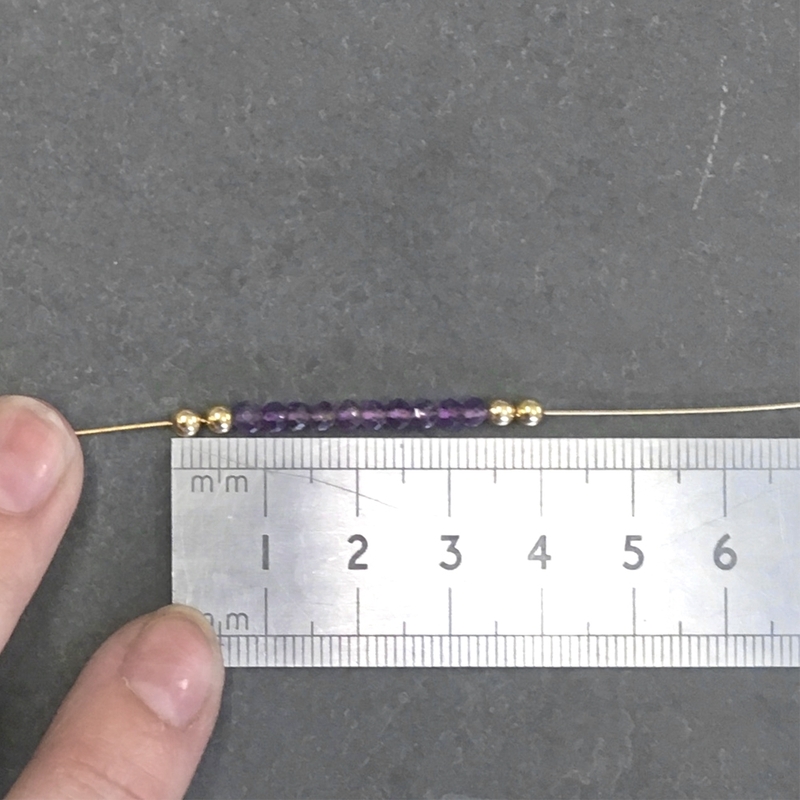 Before starting to thread your main beads, measure the length of the gold beads and chosen 10 accent beads. You want to minus this off the total length you want your bracelet (19cm is a standard bracelet size) then divide that number by 2, this will give you the length of the main beads that you will need. Remember to include the knot cover in this length. 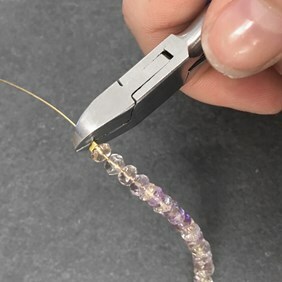 You can now begin threading the main Ametrine beads onto the wire, you will need to stop at approximately 7.5cm if your are making one that is 19cm long. You can then add the metal and accent beads. 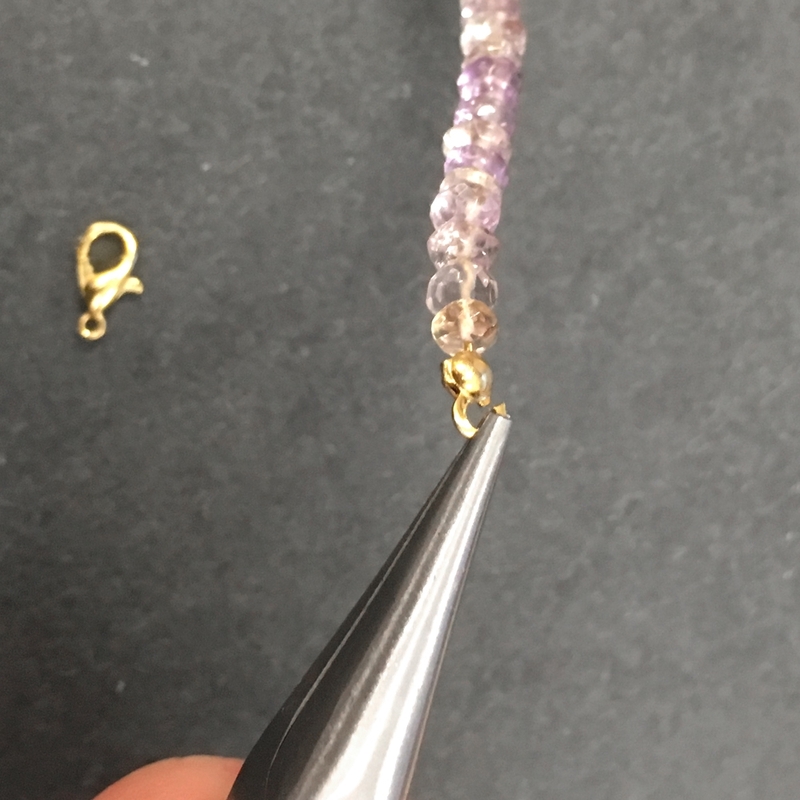 After they have been added continue with the remainder of the Ametrine ones. 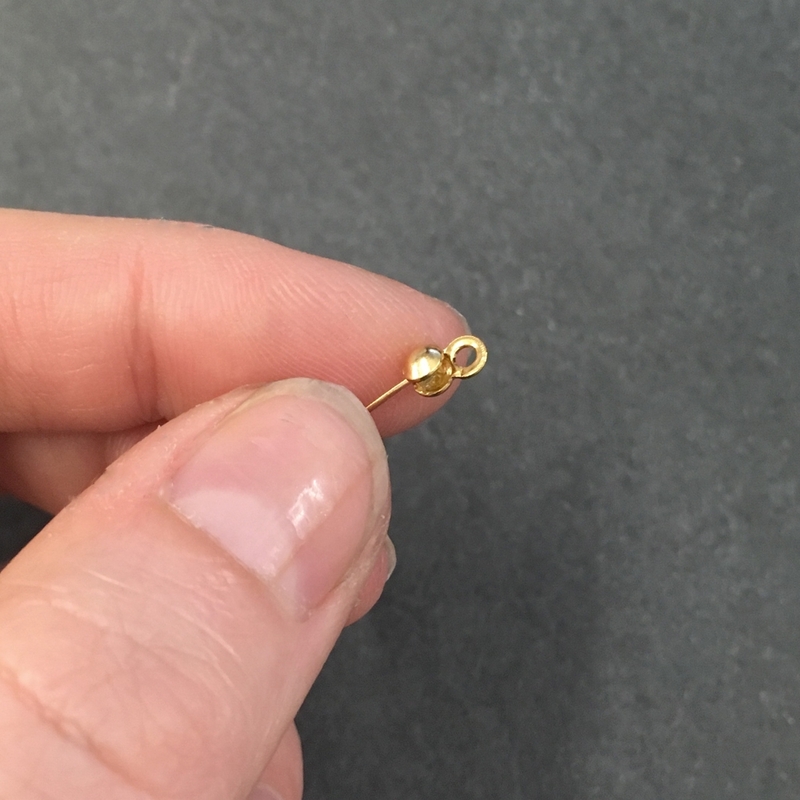 Once your bracelet had reached the desired length you need to add a crimp to the other end. Leave a small gap after the end of the beads so they have room to move slightly and you are able to add the knot cover. Use your side cutters to cut the wire after the crimp then add the knot cover as before to conceal it. Next you need to add the clasp and jump ring. On one end use your snipe nose pliers to open the ring on the knot cover and attach your caribiner clasp closing it again after. Do this same action for attaching the jump ring to the other end. your bracelet is now complete! There are so many bead combination possibilities for this design, allowing you to customise it to your tastes! Browse our huge collection of gemstone beads to choose your favourites. If have any questions regarding this design or any other jewellery related question get in touch, we'd love to hear from you.